In the end TypeScript gives us great tooling support combined with a much better idea about how our code will work. The combination of productivity plus robustness is the most appealing argument for using TypeScript. In this article we will explore how to convert existing projects. We will see, that transforming a code to TypeScript can be done incrementally. The first step in utilizing TypeScript is of course to have TypeScript source files. Since we want to use TypeScript in an existing project, we'll have to convert these files. There is nothing to do here as a requirement, however, we'll just rename our files from *.js to *.ts. This is just a matter of convention, nothing that is actually required. Nevertheless, as the TypeScript compiler tsc usually considers *.ts files as input, writing *.js files as output, renaming the extension ensures that nothing wrong happens. The next subsections deal with incremental improvements in the conversion process. We now assume that every file has the usual TypeScript extension *.ts, even though no additional TypeScript feature is used. Now that we want to give our intelligent compiler (TypeScript) some hints, we need to specify what other objects might be available. Therefore we need to place a reference hint in the beginning of code files. The reference hint will declare all other files, that will be used from the current file. There are reasons to write plain definition files outselves, as well. The most basic one is covered by the def/interfaces.d.ts file. We do not have any code, which would make a compilation irrelevant. Referencing this file on the other hand makes sense, since the additional type information provided by the file helps in annotating our code. The most important TypeScript feature is type annotations. Actually the name of the language indicates the high importance of this feature. Most type annotations are actually not required. If a variable is immediately assigned (i.e. we define a variable, instead of just declaring it), then the compiler can infer the type of the variable. Obviously the type of this variable is a string. This is also what TypeScript infers. Nevertheless, we could also name the type explicitly. The most important case has been omitted so far. While variables (local or global) can be inferred in most cases, function parameters can never be inferred. In fact function parameters may be inferred for a single usage (such as the types of generic parameters), but not within the function itself. Therefore we need to tell the compiler what type of parameters we have. Now that we started annotating our functions and variables, we will eventually require custom types. Of course we already have some types here and there, however, these types may be less annotated than we want to, or defined in a too special way. It is not obvious that the contained elements are supposed to be constants. They could be easily changed. So what about a compiler that might give us an error if we really want to do nasty things with such an object? This is where enum types come in handy. Right now they are restricted to numbers, however, for most constant collections this is sufficient. Most importantly, they are transported as types, which means that we can use them in our type annotations. The name has been changed to uppercase, which indicates that Direction is indeed a type. Since we do not want to use it like an enumeration flag, we use the singular version (following the .NET convention, which makes sense in this scenario). Casts in TypeScript work only if they could work. Since every Direction is a number, a number could be a valid Direction. Sometimes a cast is known to fail a priori. If the userInput would be a plain string, TypeScript would complain and return an error on the cast. This defines the format of a level definition. We see that such a definition must consist of numbers such as width, height, background and an id. Also a two-dimensional string-array defines the various tiles that should be used in the level. 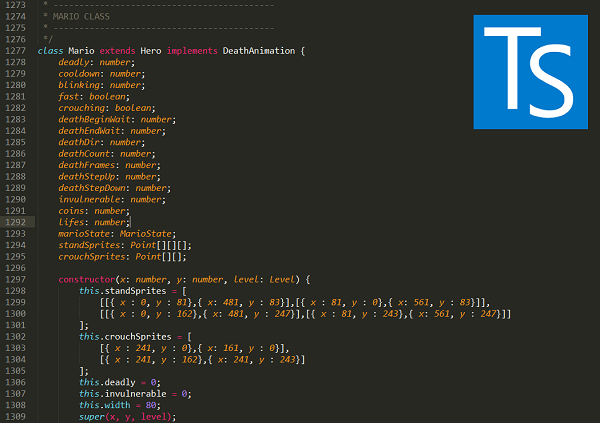 We already mentioned that TypeScript interfaces are different to C# interfaces. One of the reasons is that TypeScript interfaces allow merging. If an interface with the given name already exists, it won't be overwritten. There is also no compiler warning or error. Instead the existing interface will be extended with the properties defined in the new one. Here we have to possible calls (among many) and a property that is directly available. Hybrid interfaces therefore require that the implementing object is in fact a function, that is extended with further properties. We can also create interfaces based on other interfaces (or classes, which will be used as interfaces in this context). Let's consider the following case. To distinguish points we use the Point interface. Here we only declare two coordinates, x and y. If we want to define a picture in the code, we need two values. A location (offset), where it should be placed, and the string that represents the source of the image. Therefore we define the interface to represent this functionality to be derived / specialized of the Point interface. We use the extends keyword to trigger this behavior in TypeScript. We can use as many interfaces as we want, but we need to separate them with commas. Unfortunately there are a lot of problems with the shown approach. The biggest problem is that it is non-normative, i.e. it is no standard way. Therefore developers who aren't familiar with this style of implementing class-like objects, cannot read or write code as they usually would. Also the exact implementation is unknown. All in all any developer has to look at the original definition of the Class object and its usage. This looks quite similar and behaves nearly identical. Nevertheless, changing the former definition with the TypeScript variant needs to be done in a single iteration. Why? If we change the base class (just called Base), we need to change all derived classes (TypeScript needs classes to inherit from other TypeScript classes). On the other hand if we change one of the derived classes we cannot use the base class any more. That being said, only classes, that are completely decoupled from the class hierachy, can be transformed within a single iteration. Otherwise we need to transform the whole class hierachy. The extends keyword has a different meaning than for interfaces. Interfaces extend other definitions (interfaces or the interface part of a class) by the specified set of definitions. A class extends another class by setting its prototype to the given one. Additionally some other neat features are placed on top of this, like the ability to access the parent's functionality via super. The implements keyword is similar to implementing interfaces (explicitely) in C#. We basically enable a contract, that we provide the abilities defined in the given interfaces within our class. While we can only extend from a single class, we can implement as many interfaces as we want. In the previous example we choose not to inherit from any class, but to implement two interfaces. Then we define what kind of fields are available on objects of the given type. The order does not matter, but defining them initially (and most importantly: in a single place) makes sense. The constructor function is a special function that has the same meaning as the custom init method before. We use it as the class's constructor. The base class's constructor can be called any time via super(). By specifying that the arguments are public, we can omit the definition (and initialization) of x and y in the class. TypeScript will handle this automatically. Why this waste? Four lines for nothing. The first line is required, since the interval callback is invoked on behalf of the window. Therefore we need to cache the original this, in order to access / find the object. This closure is effective. Now that we stored the this in me, we can already profit from the shorter typing (at least something). Finally we need to hand that single function over in another function. Madness? Let's use the fat-arrow function! Ah well, now it is just a neat one-liner. One line we "lost" by preserving the this within fat-arrow functions (let's call them lambda expressions). Two more lines have been dedicated to preserving style for functions, which is now redudant as we use a lambda expression. In my opinion this is not only readable, but also understandable. Under the hood, of course, TypeScript is using the same thing as we did before. But we do not care. We also do not care about MSIL generated by a C# compiler, or assembler code generated by any C compiler. We only care about the (original) source code being much more readable and flexible. If we are unsure about the this we should use the fat arrow operator. Now that we basically typed our whole solution we might even go further and use some TypeScript features to make the code nicer, easier to extend and use. We will see that TypeScript offers some interesting concepts, that allow us to fully decouple our application and make it accessible, not only in the browser, but also on other platforms such as node.js (and therefore the terminal). At this stage we are already quite good, but why leave it at that? Let's place default values for some parameters to make them optional. The void 0 is basically a safe variant of undefined. That way these default values are always dynamically bound, instead of default values in C#, which are statically bound. This is a great reduction in code, as we can now omit essentially all default value checks and let TypeScript do the work. Again, this makes the code much easier to read. Otherwise the backgroundPosition property would be assigned with default value consideration, which looks quite ugly. Having default values is certainly nice, but we might also have a scenario, where we can safely omit the argument without having to specify a default value. In that case we have still to do the work of checking if a parameter has been supplied, but a caller may omit the argument without running into trouble. Obviously we allow calling the method without specifying the id parameter. Therefore we need to check if it exists. This is done in the first line of the method's body. This guard protects the usage of the optional parameter, even though TypeScript allows us to use it at free will. Nevertheless, we should be careful. TypeScript won't detect all mistakes - it's still our responsibility to ensure a working code in every possible path. The advantage of telling TypeScript about the multiple calling versions lies in the enhanced UI capabilities. IDEs like Visual Studio, or text editors like Bracket may show all the overloads including the descriptions. As usual calls are restricted to the provided overloads, which will ensure some safety. Generics may be useful to tame multiple (type) usages, as well. They work a little bit different than in C#, as well, since they are only evaluated during compile time. Additionally they do not have anything special about the runtime representation. There is no template meta programming or anything here. Generics is only another way to handle type safety without becoming too verbose. Here the argument x is of type any. Therefore the function will return something of type any. This may not sound like a problem, but let's assume the following function invocations. What is the type of num, str and obj? They might have an obvious name, but from the perspective of the TypeScript compiler, they are all of type any. This is where generics come to rescue. We can teach the compiler that the return type of the function is the calling type, which should be of the exact type that has been used. In the above snippet we simply return the same type that already entered the function. There are multiple possibilities (including returning a type determined from the context), but returning one of the argument types is probably the most common. The current code does not have any generics included. The reason is simple: The code is mostly focused on changing states and not on evaluating input. Therefore we mostly deal with procedures and not with functions. If we would use functions with multiple argument types, classes with argument type dependencies or similar constructs, then generics would certainly be helpful. Right now everything was possible without them. The final touch is to decouple our application. Instead of referencing all the files, we will use a module loader (e.g. 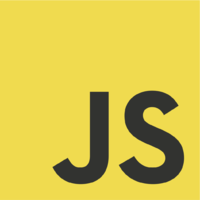 AMD for browsers, or CommonJS for node) and load the various scripts on demand. There are many advantage to this pattern. The code is much easier to test, debug and usually does not suffer from wrong orders, as the modules are always loaded after the specified dependencies are available. TypeScript offers a neat abstraction over the whole module system, since it provides two keywords (import and export), which are transformed to some code that is related to the desired module system. This means that a single code base can be compiled to AMD conform code, as well as CommonJS conform code. There is no magic required. How can this be used? Instead of having a reference comment, we use the require() method. To indicate that we wish to use the module directly, we do not write var, but import. Please note, that we can skip the *.ts extension. This makes sense, since the file will have the same name later on, but a different ending. All modules are then brought together in some file like game.ts. We load all the dependencies and then run the game. While most modules are just objects bundled together with single pieces, a module can also be just one of these pieces. This assigns the export object to be the keys object. Let's see what we got so far. Due to the modular nature of our code we included some new files. We have another dependency on RequireJS, but in fact our code is more robust and easier to extend than before. Additionally all dependencies are always exposed, which removes the possibility of unknown dependencies drastically. The module loader system combined with intellisense, improved refactoring capabilities and the strong typing added much safety to the whole project. Of course not every project can be refactored so easily. The project has been small and was based on a solid code base, that did not rust that much. In a final step we will break apart the massive main.ts file, to create small, decoupled files, which may only depend on some setting. This setting would be injected in the beginning. However, such a transformation is not for everyone. For certain projects it might add too much noise than gain clearity. This technique would refine the dependencies. Additionally the code base would gain accessibility. Nevertheless, it depends on the project and state of the code, if further refinement is actually desired or unnecessary cosmetics. The code is live and available online at GitHub. The repository can be reached via github.com/FlorianRappl/Mario5TS. 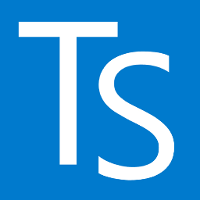 The repository itself contains some information on TypeScript. Additionally the build system Gulp has been used. I will introduce this build system in another post. Nevertheless, the repository also contains a short installation / usage guide, which should give everyone a jump start, who does not have knowledge about gulp or TypeScript. Since the origin of the code lies in the Mario5 article, I also suggest everyone who has not read it, to have a look. The article is available on CodeProject at codeproject.com/Articles/396959/Mario. There is also a follow up article on CodeProject, which deals with extending the original source. The extension is a level editor, which showcases that the design of the Mario5 game has indeed been quite good as most parts of the UI can be easily re-used to create the editor. 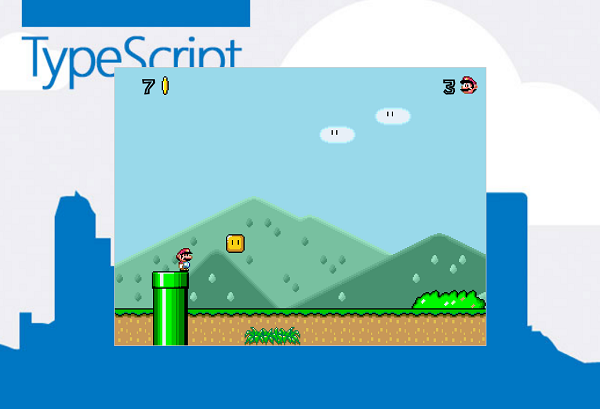 You can access the article under codeproject.com/Articles/432832/Editor-for-Mario. It should be noted that the article also deals with a social game platform that combines the game and the editor in a single webpage, which can be used to save and share custom levels. One of the most asked questions in the original article has been where to acquire the sound / how to set up the sound system. It turns out that the sound might be one of the most interesting parts, yet I decided to drop it from the article. Why? The last argument is my key point. I wanted to illustrate that the game can actually work without strongly coupling it to a particular implementation. Audio has been a widely discussed topic for web applications. First of all we need to consider a series of formats, since different formats and encodings only work on a subset of browsers. To reach all major browsers, one usually needs at least 2 different formats (usually consisting of one open and one proprietary format). Additionally the current implementation of the HTMLAudioElement is not very efficient and useful for games. That is what motivated Google to work on another standard, which works much better for games. Created 11/19/2014 2:08:33 PM . Generated in 85 ms. You are viewing the English version.